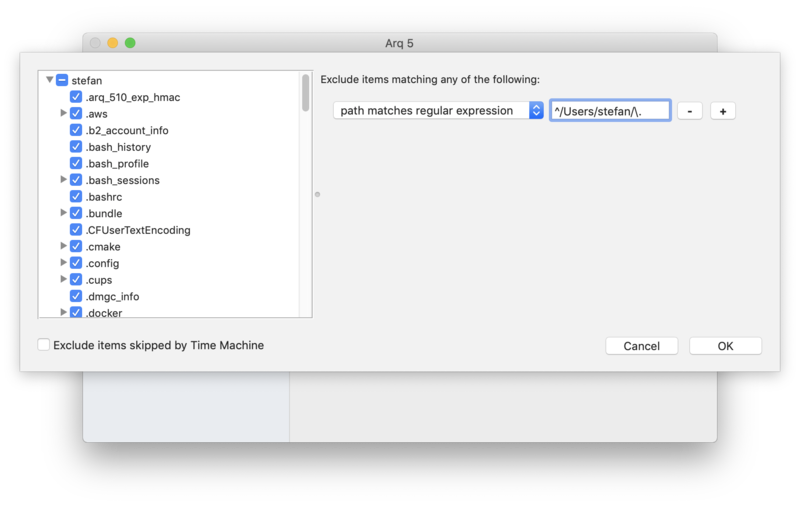 If you choose the "path matches regular expression" option on the right, specify a regular expression (a special matching syntax) for excluding items. Arq uses the ICU library's regular expression engine, so your regular expression must be in ICU syntax. Note: Regular expression matching is more CPU-intensive and will cause Arq's backup process to run more slowly.